The Enriched Mini Course Program (EMCP) is a week-long program offered to students grades 8-11 (Ontario), and Sec. 2-5 (Quebec). Carleton offers about 50 enriched courses for students, taught by professors and graduate students in the Faculty of Arts and Social Sciences, the Faculty of Public Affairs, The Sprott School of Business, the Faculty of Science, and the Faculty of Engineering and Design. Making Your World: From Garbage to Goods! In this hands-on course, you will experience what it is like to design a new product. The challenge: this new product must begin its life in the garbage dump. How can something new and exciting be made out of the stuff we throw away every day? 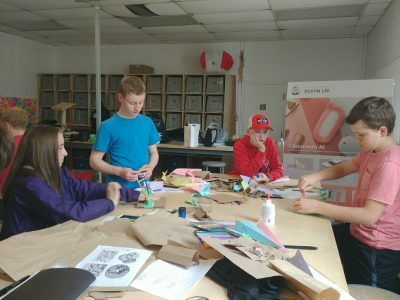 Brainstorm ideas, develop new concepts through sketching and testing, and make models of your concept like a real industrial designer in a real design studio. The course will also introduce you to the values of sustainable design, the importance of market research and user needs, form and colour principles, two dimensional computer illustration, materials, and production processes. The week will conclude with a display, presentation, and discussion of student designs. 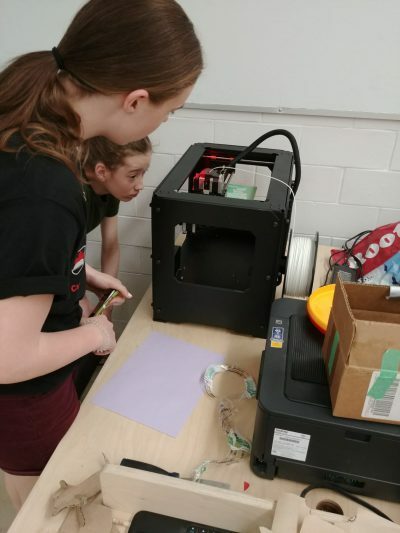 In this hands-on course, you will explore technological tools such as 3D printers and laser cutters and CAD tools to learn to make your own cool stuff! 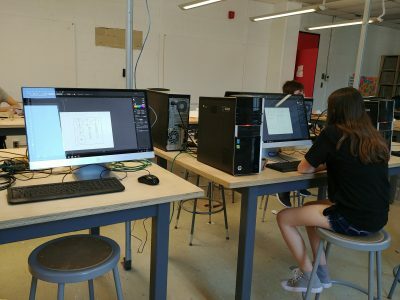 Classes will introduce you to the design process: brainstorm ideas, develop concepts through sketching, illustration, and CAD – all set in a design studio environment! The course will also introduce you to the importance of exploring ideas confidently, test ideas, and get user feedback. The week will conclude with a display, presentation, and discussion of student designs. Find out more about the Enrichment Mini Course Program here.